Have checked out the latest beauty collection by Maybelline? 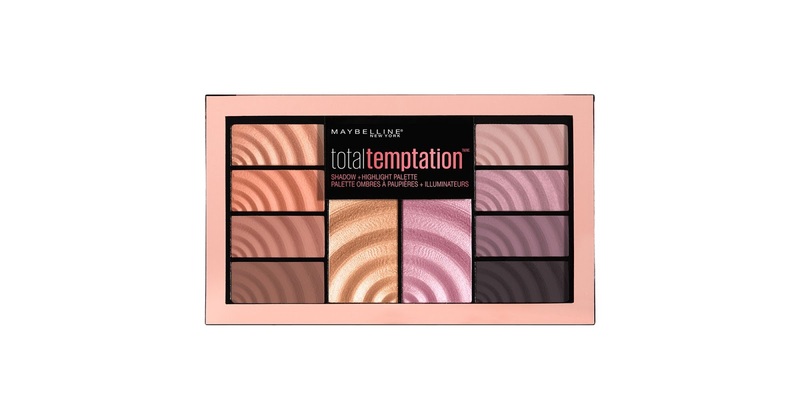 Beauties, get excited for the latest collection by Maybelline featuring their NEW Total Temptation set which consists of the Total Temptation Brow Definer, Shadow + Highlight Palette and Mascara. 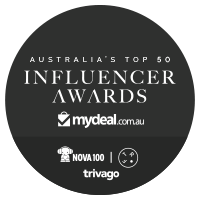 These are now currently available in Priceline, Chemist Warehouse, Coles, Woolworths, Target, Big W, Kmart and also via selected Pharmacies nationwide. 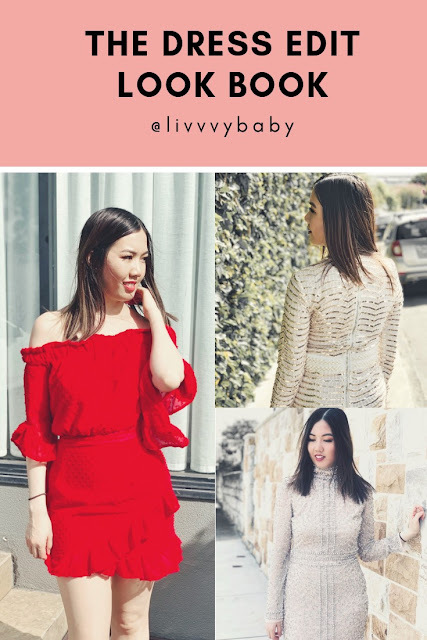 These make perfect everyday or going out beauty essentials if you're after a new set of products that are super affordable and can help to create simple, stunning looks. 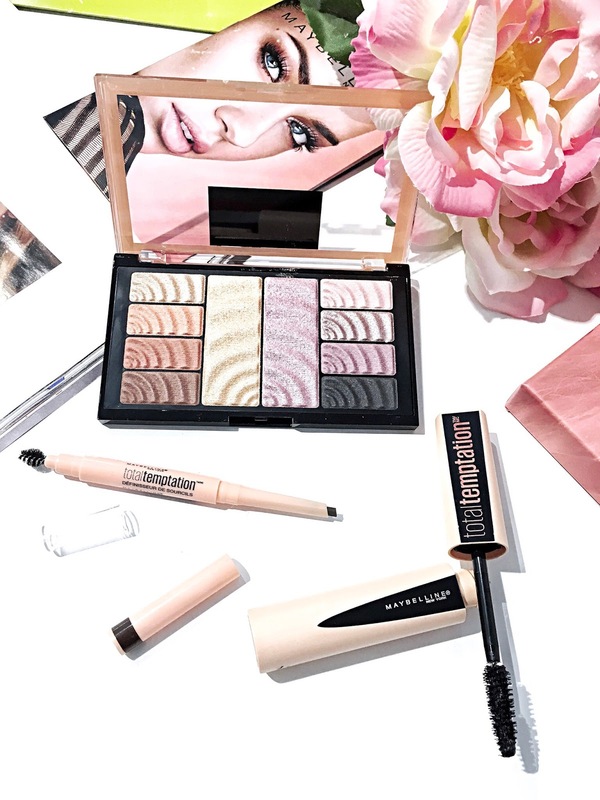 As for their overall quality, I've found that their Shadow and Highlight Palette is reasonably pigmented which gives of amazing colour to the eyes. As for their Mascara, it looks to lengthen the lashes giving them a voluminous natural look. And last but not least, their Brow Definer helps to shape your brows really well thanks to its cream to powder formula. We all know that some girls just can't leave the house without doing their brows. 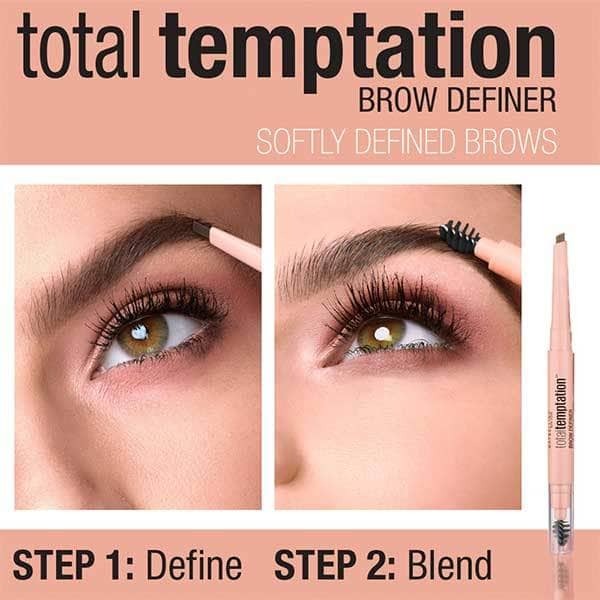 Thankfully, there's the new Total Temptation Brow Definer which uses a rich pigmented cream to powder formula to help you to create natural and defined looking brows. The Brow Definer comes with a retractable angled tip applicator which allows for a firm and precise stroke (mimicking natural fine brow hairs). 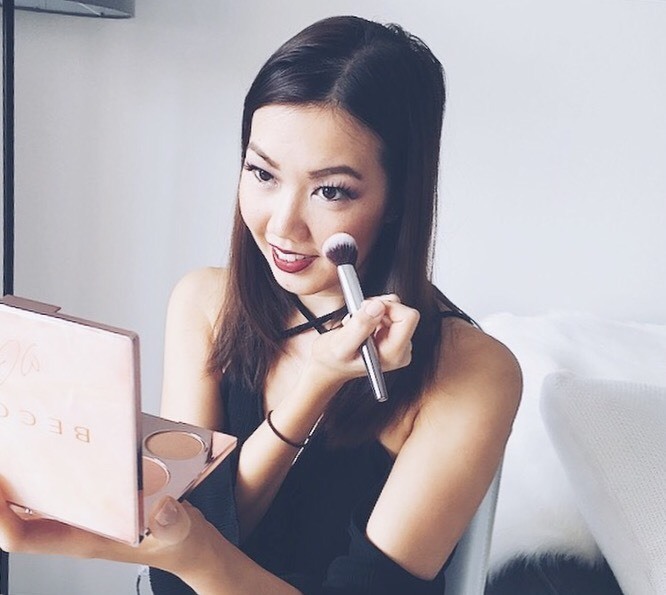 It also comes with a fluffy spoolie brush which helps to shape and fluff out your brows. 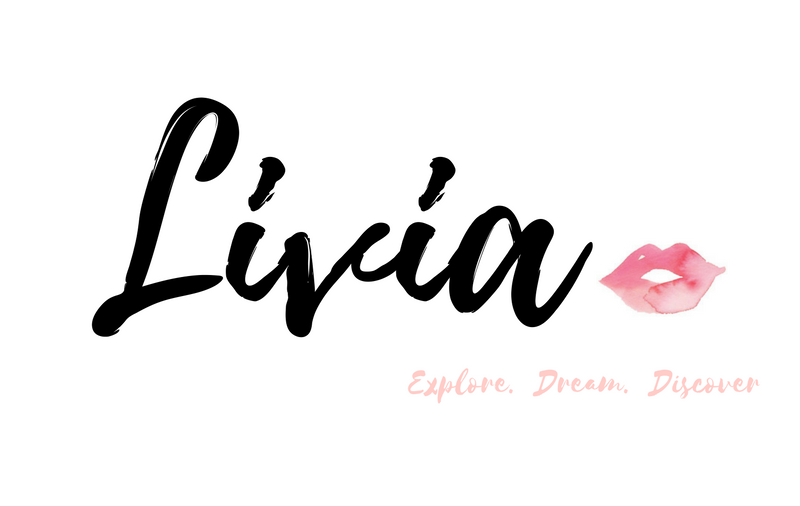 Overall I've been loving this product as it's so easy to use in the morning and most importantly it allows me to create and define natural looking brows. The application is super easy and the fact that it comes with an angled tip - actually allows me to easily fill in the brows with ease. Here's a mascara that won't leave your lashes clump or flaky. It's actually enriched with coconut nectar which easily glides through your lashes and builds up volume within every stroke. 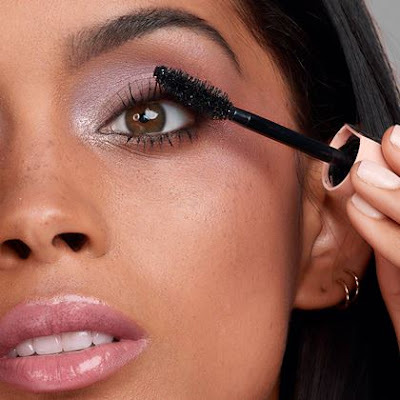 I actually quite enjoyed using this mascara as it looked to amplify my lashes with more volume which looked very natural. As for its bristle brush, it combs through the lashes easily and doesn't leave you with that clogged look - essential for when you're looking to create voluminous and natural lashes. I had to save the best for the last...say hello to the Shadow and Highlight Palette from the Total Temptation Collection by Maybelline. The aesthetics of the shadow and highlight look so amazing especially with its wavy embossed ridges - which makes the palette seem more enticing and interesting to play with. 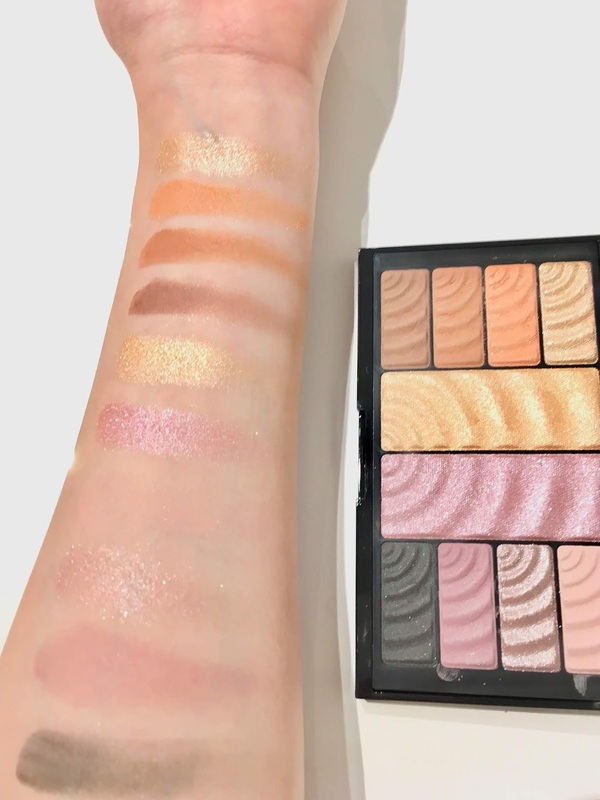 This palette contains eight stunning eyeshadows (ranging from the indulgent peaches and muted mauves shades) as well as two highlight colours. This is their creamiest shadows I've seen to date and as for pigmentation, they are quite reasonable. 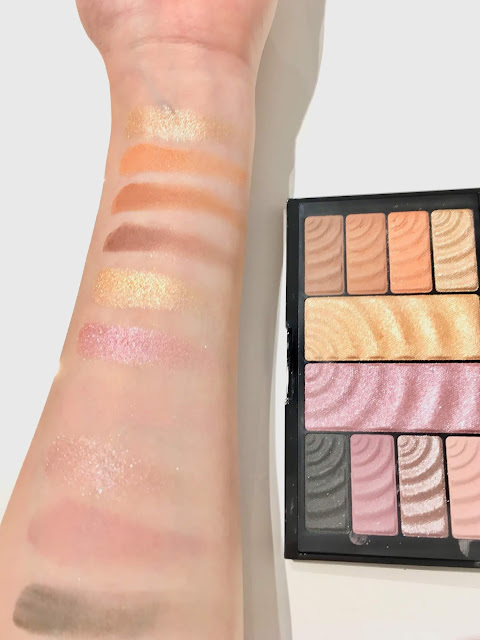 There's a mix of matte and shimmer shades which is perfect for creating both day and night looks from this palette which is wonderful. 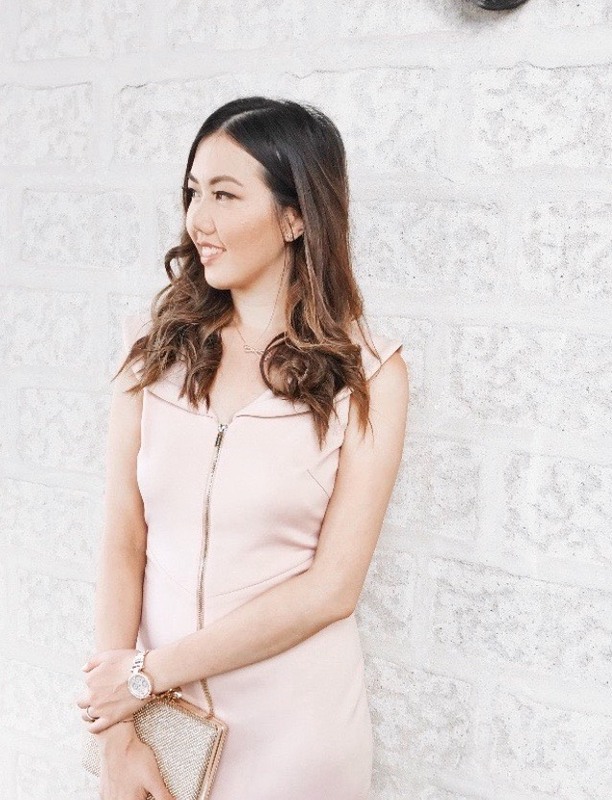 Overall, I've been reaching out for this palette quite often as the shades are not too overly dramatic looking and are perfect for an all day wear. 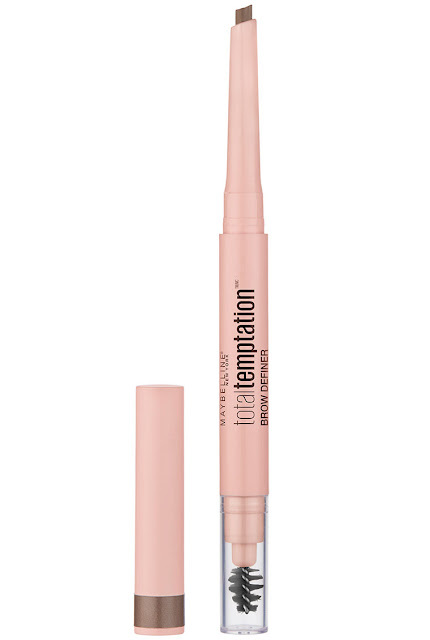 Do you have any favourites from the new Total Temptation Collection range as yet?